Unser fabelhaftes Post and Beam-Zuhause ist anders als alles andere in Bar Harbor. Es liegt am Ufer des Franzosen Bay. Die Hauptetage verfügt über eine Kathedrale-Decke mit zwei Glasfenstern mit Blick auf die Frenchman's Bay. Es wurde von einem lokalen Baumeister mit Liebe zum Detail entworfen. Es ist der perfekte Zufluchtsort für Gäste mit den unterschiedlichsten Vorlieben. Der dreigeschossige Grundriss dieses Hauses bietet geräumige Gemeinschaftsbereiche, wobei die Privatsphäre für die Schlafbereiche gewahrt bleibt. Es eignet sich sowohl für Paare, die sich ein Ferienhaus teilen, als auch für Familien, die einen separaten Spielbereich für die Kinder wünschen. Gehen Sie nach oben zum Alkoven-Dachboden, der den Wohnbereich überblickt, der für Büroflächen oder einen ruhigen Rückzugsort eingerichtet ist. Das Hauptschlafzimmer ist mit einem begehbaren Kleiderschrank und einer Sitzecke ausgestattet. Das Master-Badezimmer verfügt über eine große ebenerdige Dusche und Granitoberflächen. Das Kingsize-Bett verfügt über eine luxuriöse Matratze mit Kissen. Auf der Hauptetage ist die schöne Küche mit allen Annehmlichkeiten ausgestattet, darunter ein Geschirrspüler, eine Mikrowelle, ein Elektroherd, ein Doppelwaschbecken aus Edelstahl und eine komplette Granit-Arbeitsplatte mit einer zum Speisesaal offenen Bar, die sich ideal als Treffpunkt für Familie und Freunde eignet . Im Erdgeschoss befindet sich ein schönes Familienzimmer mit einem zweiten Fernseher und viel Platz zum Entspannen. Von diesem großen Gebiet aus haben Sie eine herrliche Aussicht auf das Wasser und bieten einen großartigen Platz für die Kinder zum Spielen oder für die Jungs, um das große Spiel zu beobachten. Eine der besten Attraktionen dieses Hauses ist die Lage. Es ist 75 Meter von der Frenchman's Bay entfernt und bietet vollständigen Zugang zur Frenchman's Bay und zum Atlantik. Das Haus liegt 13 km vom bezaubernden Dorf Bar Harbor, Mt. Das künstlerische, kulinarische und soziale Zentrum von Desert Island. Das Hotel liegt an der Küste der Frenchman's Bay und bietet den Charme eines kleinen Fischerdorfs in New England mit allen Attraktionen eines großen Resorts, darunter Restaurants, Einkaufsmöglichkeiten und ein reges Nachtleben. Das Haus ist nur 8 km vom Eingang des Acadia-Nationalparks entfernt. In der Nähe befinden sich Eingänge zu einigen der besten Wanderwege des Landes sowie eine Vielzahl von Outdoor-Aktivitäten wie Whale Watching, Kanufahren, Kajakfahren, Klettern und Tiefsee Angeln, Segeln, Radfahren und vieles mehr. In der Nähe befinden sich auch der beliebte Sandstrand, das Donnerloch und der Cadillac Mountain, der schönste Ort, um den Sonnenaufgang des Landes zu beobachten. Wir laden Sie ein, eine herrliche Woche in unserem eleganten Post and Beam Home zu verbringen. So quiet, restful, comfortable for our family of 2 grandparents, daughter and young boys, and son, wife, infant. Room to come together for meals and family time in open great room with gorgeous views. And room to retreat for rest time. We loved the birdsongs and watching the tide rise and fall, boats going by, colors change. Simply wonderful! A Fabulous Visit to Maine! It was a beautiful April in Maine. The accommodations were wonderful and perfect for our group. It was close to town , close to Acadia but away from it all. We enjoyed the sunroom looking out over the water. The house is comfortable in any weather and the fireplace was awesome! Comfy beds, very clean and lots of room. We will definitely be back. We can't wait! We loved the property. It was well-maintained, spacious, wonderful of the bay, fun walk down to the rocky beach, secluded, etc. Location was close to town and the park. The Post & Beam Home is the picture perfect vacation home in the ideal location. We've rented this house four times over the past 15 years, and each time we've had an absolutely delightful vacation. The home is beautiful, spacious, and comfortable, and the design is exactly what you'd hope for in a Maine waterfront home, with a soaring cathedral ceiling, exposed natural beams, and gorgeous views of the water. The layout is excellent, with some really nice touches -- e.g., half of the porch is enclosed, which means you can enjoy the morning fog without the chill; and there's a study (with printer) in the second floor loft, in case you have to do a bit of work on vacation. The owner is very responsive and has done a terrific job of keeping the home in tip-top shape. The owner retains an excellent cleaning crew -- the home has always been spotless when we arrive. The bedrooms have a lot of storage space, with lots of drawers and closet space, which is nice for a week-long stay. Also, the owner is very generous with the things that make a stay more comfortable, like a dozen extra towels in each bathroom, plenty of extra toilet paper, a fresh roll of paper towels in the kitchen, etc. -- simple conveniences that make a difference. The home is a 12 minute drive to the nearest entrance to Acadia National Park, where there's amazing biking and hiking, and maybe another 5 minutes or so into Bar Harbor for shopping and dining. Or you can pick up the LL Bean bus at the end of the street, about a quarter mile walk from the end of the driveway; the bus makes stops just about anywhere you'd want to go. The rental cost isn't cheap, but each time we've stayed here the vacation has been great and memorable. 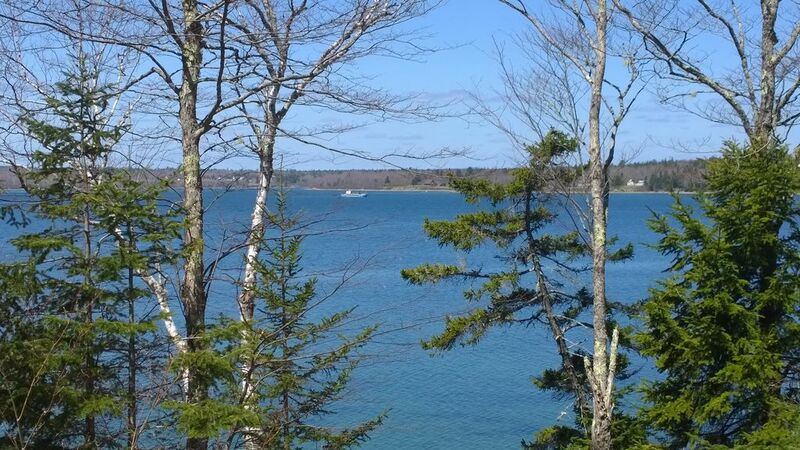 Beautiful home, great waterfront setting, perfect architecture for the location, easy access to Acadia National Park and Bar Harbor, and a very responsive owner. There's a reason we keep coming back. My family and I have stayed here multiple times. Everything has always been excellent. The property is well maintained; the house spotless. We have every intention of returning again next year. It is peaceful and idyllic, especially sitting in the den, watching the sun both rise and set over Frenchman's Bay. What more could you want? Highly recommend. What a gorgeous home! The home and the property are both amazing. The post and beam is right on the bay and has absolutely stunning views! It was also conveniently located on the island with easy access to Bar Harbor and Ellsworth. There were lots of restaurants, shopping and activities close by- short drive into town. I rented the home for a small family reunion/wedding gift and every member of my family was extremely satisfied and couldn't stop talking about how nice the house was. Brenda did an excellent job outfitting the home with everything you would need for a comfortable stay. There were tons of extra blankets in each closet, wood for the fire, propane for the grill, wifi, laundry machines, tons of towels, first aid supplies, and every utensil and kitchen appliance you would ever need (she also had an awesome crock pot, for those of you who enjoy cooking). The layout was fabulous! On the first floor there's a large kitchen and breakfast bar, a dining area, a huge living room, a sitting area surrounded by windows that looks out onto the bay, a wrap around porch for BBQing, a nice bedroom and full bath. This was great for our family because my mother has ambulatory issues and had access to everything she needed right on the first floor! The upstairs was really cool- huge loft type room (we called it the honeymoon suite because it was so large and private). There's also another bedroom on that floor, another sitting area that overlooks the living room and a really large/unique full bath! The finished walkout basement was awesome as well! Great area for watching movies and playing games. The description I received from Brenda's website and her e-mails was very accurate (this includes the layout, amenities, etc.). The property was well maintained and the house was spotless when we arrived. Brenda was absolutely awesome throughout the entire process. She took the time to answer all of my questions and then my family's questions (and they had a lot of questions). She was patient and thorough and upon final payment, she sent a very detailed e-mail with directions and suggestions of great restaurants and places to go! I found this to be very helpful. She also had a comprehensive binder at the house of menus, site seeing activities, etc. I would absolutely recommend this property! Park haben eine Vielzahl von Angeboten für die Besucher. Es ist wirklich für jeden etwas dabei. ruhiges, wunderschönes Feriendorf, Welten abseits der Hektik von New York, Boston und Paris. Heute sind die "Sommermenschen"
Erleben Sie unser Winterwunderland und die Überraschungen des Frühlings.